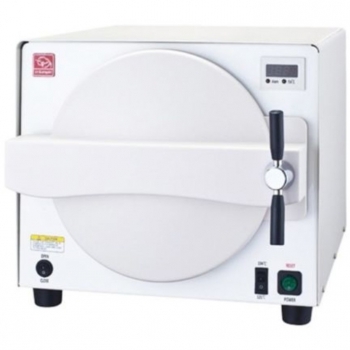 Buy Cheap JIBIMED® YX-18HM Portable Autoclave Sterilizer 18L form Alandental.com|Dental Equipment for Sale! FeaturesThe product uses saturated steam to rapidly and efficiently sterilize articles. 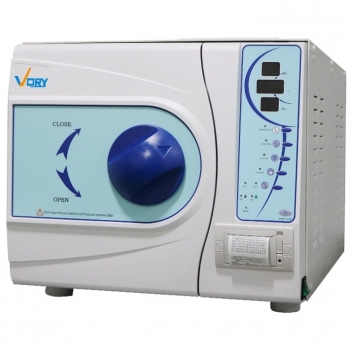 It can be used in hospitals, public health centers, health stations, clinics in factories and mines, scientific research institutes, etc, to sterilize medical equipment, surgical dressings, glass utensils, solutions, substrata. 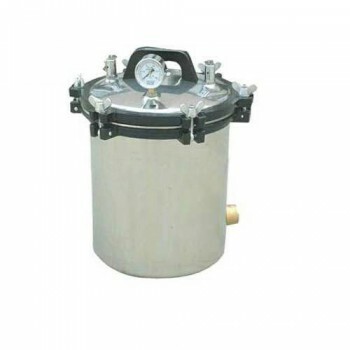 It can also be used as cooker in plateau areas and be used to make high quality drinking water in industrial and mining enterprises. 1. The lid is equipped with safety valve and air releasing valve. When the steam pressure exceeds 0.16MPa, the safety valve can automatically release the pressure that is too high, having double safety function and featuring safety and reliability in use. 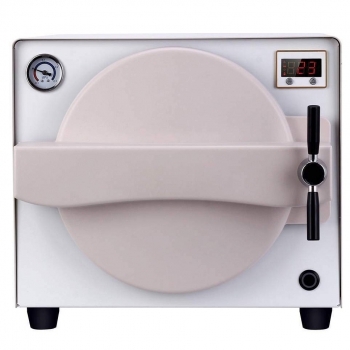 The lid is also equipped with a pressure gauge with megabar and temperature readings, which conveniences the user. 2. 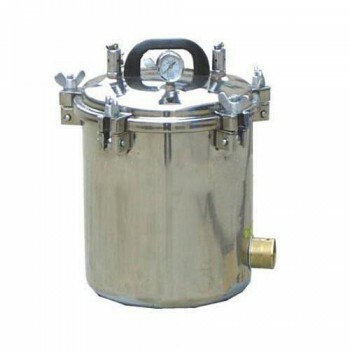 The product can also use liquefied petroleum gas and coal stove as the heating energy.The product is heated by the immersed electro-thermal tube. 3. 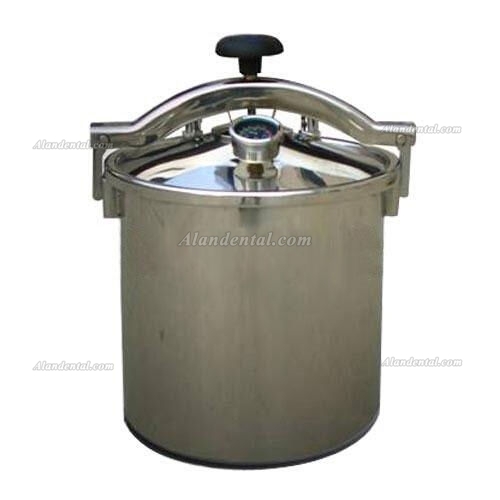 The container and drum adopted stainless steel 0Gr18Ni9Ti, anti-acid, anti-alkali and anti-rust. 4. The product is heated by the immersed electro-thermal tube. It featured to quick rise temperature and low power consumption (saving about 50% of energy as compares with electric stove). 5. The container is made of 0Cr19Ni9 (stainless steel), which is not only alkali & acid proof but also more than 3 times more tensile and compressive than aluminum alloy, ensuring safety and service life. 6. The lid is equipped with safety valve and air releasing valve. When the steam pressure exceeds 0.16MPa, the safety valve can automatically release the pressure that is too high, having double safety function and featuring safety and reliability in use. 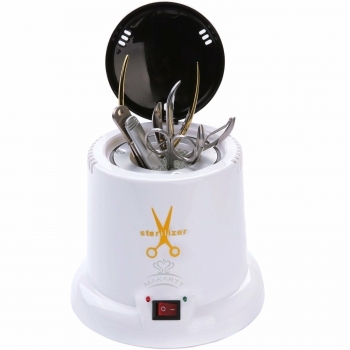 The lid is also equipped with a pressure gauge with megabar and temperature readings, which conveniences the user. 3. Drain the water inside the container and condensing water below the sieve plate and had better wipe out water and deposit on the electro-thermal tube in order to benefit the sterilization quality and prolong the working life. 4. 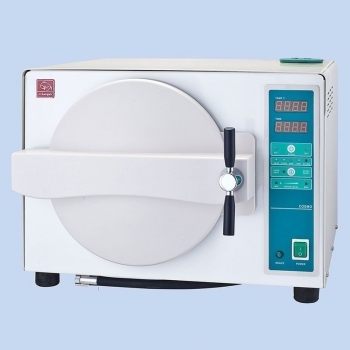 The operator should keep on watching during the sterilization process to confirm the safety of the using. 5. Gasket is easy to wear. If it does not wok well, see it whether become aging and hard, then replace it in time.